A touch of traditional in a keepsake size. 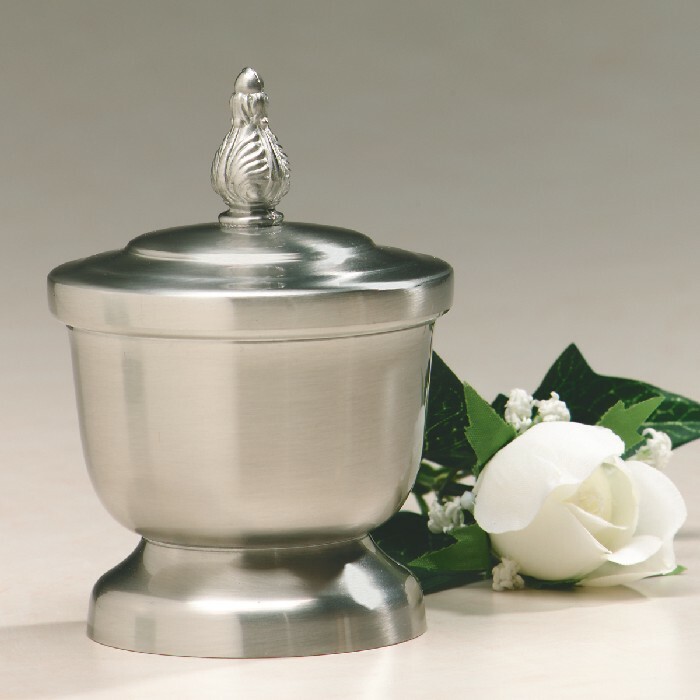 This urn is made of spun pewter and features a detailed, classic finial for a touch of elegance. This urn is engravable at an additional cost and may be ordered here. Please see bottom of page for examples of engraving typestyles offered.